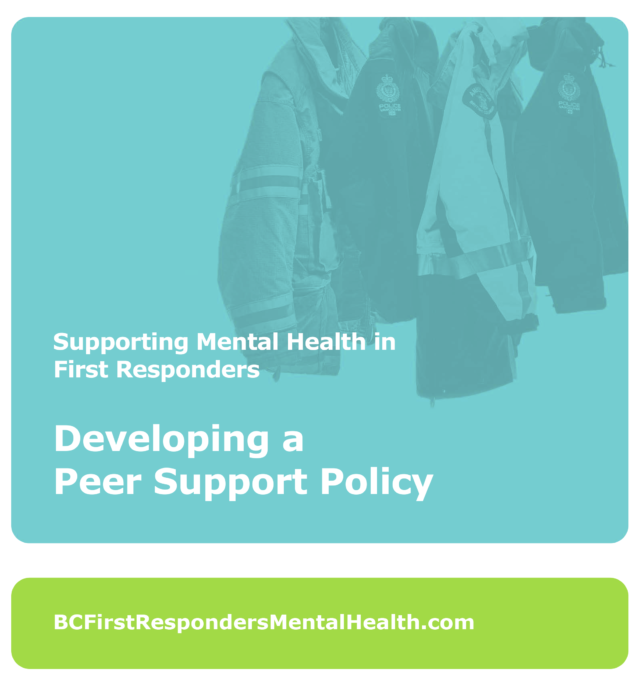 Employees in first responder organizations can benefit from the hope and recovery that peer support programs can provide. Workplace-based peer support brings trained peer support workers who are occupationally aware and may have lived experience of mental health challenges together with peers who themselves are going through challenges. Whether first responders experience a response to a workplace incident or to life stressors outside of work, the empathy, understanding, and support that a peer-to-peer experience brings can be profound. To be most effective, peer support needs committed volunteers willing to engage with peers who may be suffering or in crisis. For this to succeed, the organization needs to embrace peer support. Organizational leaders need to support an autonomous program conceptually, structurally, and financially. They also need to ensure that those doing peer support work are cared for to avoid injury and burnout. An important step in that process is to create a peer support policy. This will set the stage for everything else to come.